I saw avgolemono soup on the menu of a Greek restaurant at least three months ago by now, and it caused an immediate craving for a chicken soup with the brightness of lemon. I went home to poke around online, and made a chart, as one does, comparing recipes (here, here, here, here, and here) based on cups of broth to number of eggs to tablespoons of lemon juice to amount of rice/pasta cooked or uncooked to come up with what felt like the right ratio to me. A few decisions off the bat. I wasn’t going to make my broth from scratch (no surprise there). And I wanted to use up the ground chicken in my freezer rather than poach a breast or two or pick up a rotisserie bird. Finally, since I didn’t have any already-made leftover rice or pasta, I wanted to make it in the soup rather than dirtying another pot. In my reading, I think it was actually this recipe, I came across the fact that avgolemono – derived from the Greek words egg (avgo) and lemon (lemono) – is thought to have Sephardic Jewish roots. So, now we’re going down a little etymology and history rabbit hole, as one does. As I love to do. Let’s let the late Gil Marks and his Encyclopedia of Jewish Food be our guide (with a little citrus help from Dr. Dafna Lanngut). It all started in Spain and the rest of the Mediterranean with immature unripe grapes, stomped into juice and used to flavor dishes without the sharp acidity of vinegar. Using these unripe grapes is a lesson in economy, turning the byproduct of necessary pre-harvest thinning of the wine vines into something of value. In Spanish, the juice was called agraz, but you may know it better by its French name, verjus (vert = green, jus = juice), or Anglicized verjuice. It was particularly popular among Jews in Spain because they used it to make agristada, a thick, creamy – but non-dairy! – sauce to be used with meat. The creaminess comes from cooking egg yolks in liquid (broth and verjuice). The acidity helps prevent the eggs from curdling. Eventually lemons replaced the verjuice, but even without its namesake ingredient, the name agristada stuck. By the teens, when the Moors came to the Iberian peninsula bearing more citrus – reintroducing lemons along with oranges, pomelos, and limes – the Jewish community was poised to expand their growing and increasingly lucrative horticulture and trading business. In the face of greater supply and nearby access, the Jewish community incorporated lemons into their diet. Using it in agristada also solved the seasonality issue of agraz whose stores were typically depleted by Spring, resulting in long months of faux verjuice made from sorrel or gooseberries or crabapples until the late summer vines were again ready for pruning. Then along came the Spanish Inquisition and Iberian Jews spread out all around the Mediterranean, bringing their agristada with them, which is how it is believed to have arrived in Greece. The Greeks called this sauce avgolemono, translating the ingredients. Eventually it morphed into soup, as the sauce was added to broth at the last minute to thicken it, and that soup somehow became synonymous with Greek cuisine. Among Sephardic communities, the egg-lemon combo goes by many names, not all of which I’ve been able to capture here (but you can bet I tried, drawing on the pantheon of Jewish food writers whose books line my walls, a subset of which are now piled on my coffee table, sofa, desk). The sauce is still frequently called agristada, particularly among Sephardim who ended up in the Levant or the Balkans, and who serve it with fried fish on shabbat. It’s also used where hollandaise might be, especially over asparagus. In Arabic, it’s beida b’lemouneh (“egg in lemon”) and also served on shabbat at Syrian tables. In Ladino, it’s salsa blanco; in Italian, brodo brusca or bagna brusca (brusca = tart or sour); in Turkish terbiye (“seasoning”). The soup itself? The Greek avgolemono has stuck, but in Thessaloniki/Salonika where the Jewish population spoke Ladino, sopa de huevos y limòn prevails. The dish is also associated with Yom Kippur in the Eastern Mediterranean and within families who moved from there. Poopa Dwek writes that the velvety sauce made with chicken broth is served next to the roasted bird at the Yom Kippur pre-fast meal due to the abundance of poultry after the traditional kapparot ceremony, in which one transfers sins to a chicken before it is slaughtered. And Greek and Turkish Jews break the fast with the creamy, tart, filling soup. Call it what you will, but if you’ve made it this far with me, then you might as well make the damn soup. And if you see a sign that says EAT ME, then so you shall. 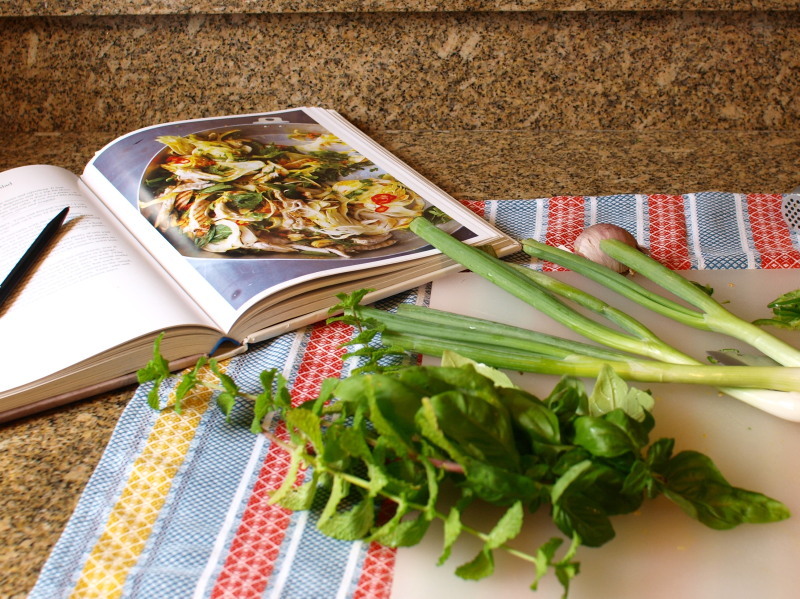 Adapted largely from Bon Appetit – but without the work of making broth from scratch. The soup thickens overnight in the fridge because of the starch so you may need to add water when reheating any leftovers. Most recipes call for shredding the chicken from the broth or a rotisserie, but I sautéed ground chicken with onions and lemon peel at the beginning to give a lot of chicken-y flavor without hours of simmering. The peel trick to up the lemon ante came from Cook’s Illustrated via Girl and the Kitchen who clearly has an account with them. Instead of more traditional orzo or rice, I used p’titim, also known as Israeli couscous, a misnomer as it’s actually little pasta bits (the name translates roughy to “little crumbles”) just like acini de pepe (“small parts of the pepper”) or Sardinian fregola (“little fragments”). If you have leftover rice or orzo or other small pasta, reduce the amount of stock by about 2 cups and add the cooked starch after you’ve tempered in the eggs, allowing everything to gently simmer for another 10 minutes or so to heat it all up. If you want to go all low-carb, I’ll bet there’s a way to sub in riced cauliflower – you won’t get the same creaminess that the starch gives the soup, but I’m sure it’ll be good nonetheless. If you try it out, let me know. The only remotely tricky part of the recipe is tempering the eggs to avoid scrambling them. This means whisking a hot liquid very gradually to a cool/room temperature liquid, and then whisking the resulting warm liquid very gradually back into hot liquid. But, seriously people, worst case scenario – you mess it up a little bit and find a few scrambled egg curds floating around in your soup. No one will care. Or, at least, I won’t. So you might as well invite me to dinner. Sweat. Cover bottom of a large Dutch oven (at least 4 quarts) with oil and heat over low. Add onions, large strips of peel from one lemon (use a vegetable peeler and count how many strips as you’ll remove them later), and half a teaspoon of salt. Stirring frequently, sweat onions without letting them brown for 10 minutes until they are yellow-tinged and translucent and the lemon peels are even brighter yellow than before and are nearly translucent as well. Remove the lemon peels and throw out. Cook. Turn heat up to medium and add remaining half-teaspoon of salt and ground chicken, breaking the meat up with a spatula or wooden spoon into chunks no larger than marbles. Keep cooking until opaque, about 3-5 minutes. Boil. Stir in Israeli couscous and broth, and increase heat to high. When the broth comes to a boil, lower heat to medium, partially cover, and cook the couscous for 12 minutes (or follow directions on whatever pasta/rice you are using). Whisk. While the pasta is cooking, in a medium bowl whisk the eggs and lemon juice until foamy and no streaks remain. Place the bowl on a kitchen towel so that it won’t move while you’re tempering. Temper – keep whisking. Reduce heat to low once couscous is done, and remove about a cup of broth from pot (it’s OK if some couscous or chicken comes along for the ride). Whisk the eggs vigorously and start adding hot broth one tablespoon at a time until the eggs start to warm, and then slowly drizzle it in a steady stream – don’t stop whisking – until fully incorporated. Temper again – still more whisking. Now, gradually add the warm lemon-egg-broth mixture back into the hot soup – again starting with tablespoonfuls and then a slow, steady stream – whisking the soup continuiously the entire time. Serve. Taste for salt, adding a few pinches if necessary. 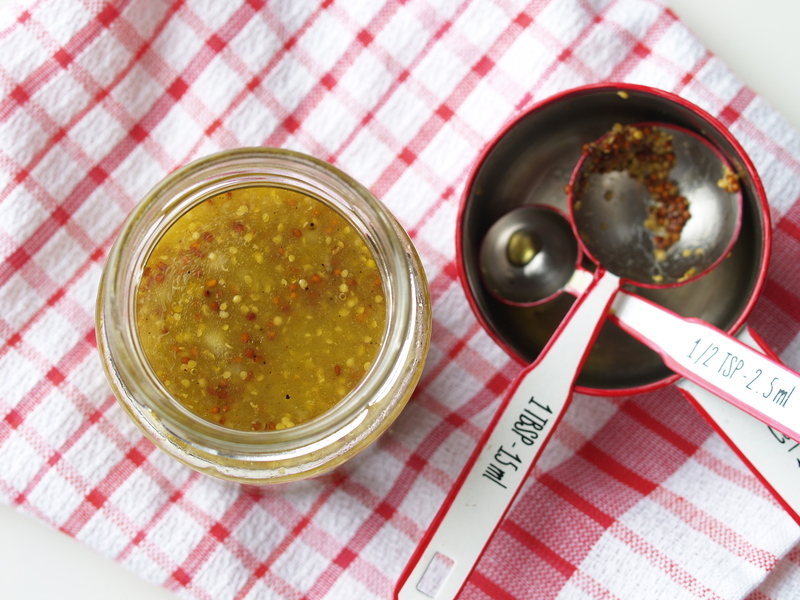 Ladle into bowls with a swirl of olive oil, a grind or two of pepper, and lemon wedges for those who like to pucker. Winter is soup time chez moi. Probably chez toi as well. When the temperature drops – and whew, how it’s dropped! – all I want is hot lunch or dinner in a bowl that I can warm my hands around and lift to my lips when too tired or lazy to bother with a spoon until I get to the bottom. Since Thanksgiving, I’ve pulled down a rainbow of cocottes (Dutch ovens, if you must) from the narrow space between my kitchen cabinets and the ceiling. There was a riff on Marcella’s tomato sauce, Joanne Chang’s hot and sour soup thickened with not cornstarch but egg swirled in like the egg-drop soup of my childhood, a return to my long-ago Ukrainian roots with an unstuffed cabbage soup, and a clean-out-the-fridge minestrone. Today’s soup is tortilla — piquant with jalapeño, loaded with shredded chicken (that you sear in the pot so as not to dirty an extra pan) and black beans, scented with cilantro, doused in lime, and topped with baked stale tortillas (or crispy chips if you have them around) and avocado. It’s kept me going the past few days and I froze a quart to save me the next time I’m resigned to Rice Krispies for dinner. On another note, since I know you check this blog every few days (ha!) and have been wondering where I’ve been (ha! ), I wish I had a fun story to tell. There’s been lots of family time and a bit of travel over a bunch of holidays, an intense project that required a recovery longer than the work itself, and a good number of library books. There are a bunch of recipes that I’ve written up and just need to get out there, so stay tuned. In the interim, here are some things that are worth checking out, while warming up with a steaming bowl in the soupiest time of year. This article and music video. Photos from a pencil factory. I love flour tortillas and use them in this soup even though most recipes call for corn – this made me feel less bad about it. Inspired by Simply Recipes and The Pioneer Woman. This is the type of soup that’s an entire meal. I’d say a serving is about 2 cups, and then you’re good for the afternoon or evening. Kale is clearly not traditional, but I wanted to slip in some extra vegetables. Leave it in, leave it out, or add in other vegetables – corn (frozen works just fine here), bell peppers, and maybe some small diced butternut squash or other pumpkin. This has a nice heat, but you could definitely add another half jalapeño if you like things on the spicier side or a tablespoon or so of chipotle in adobo sauce (I always have leftovers when I make this vegetarian chili, a smooth black bean soup with a kick, or salpicon and then freeze it in ice cube trays in one-tablespoon scoops). Make sure to add a squeeze of lime before you serve, and don’t skimp on toppings either – especially fresh cilantro and, of course, the tortilla strips. Cook. Pour enough extra-virgin olive oil, about 3 tablespoons, to cover the bottom of a medium to large heavy-bottomed pot (I used a 4-quart Staub cocotte – thanks Mom! – which was just big enough), and turn heat to medium. Once oil is hot (a drop of water should make it splatter), add 3 chicken breasts or thighs and a large pinch of salt and a grind or two of pepper. Sear on one side until the chicken forms a crust and releases itself from the pot, about 10 minutes. Turn over and repeat, cooking until the chicken is just done on the inside. Remove and set aside to cool. When cool to the touch, shred the chicken with your fingers. Saute. Add 1 more tablespoon olive oil to pot if too dry. Add onion and jalapeño pepper, and saute for 3-5 minutes until the vegetables start to soften but don’t brown. Stir in garlic, cumin, coriander, chili, garlic poster, and onion powder. Turn the heat down a tad if the garlic starts to burn. After a few minutes, add the kale and stir until it begins to wilt, another 3 minutes or so. Boil and simmer. Add the black beans, tomatoes, broth, and cilantro. Bring to a boil and then lower the heat to a simmer. Simmer for 20 minutes, then taste for salt and spice, adding salt and chili powder as necessary. Add most of the shredded chicken (set aside about a half-cup to use as a topping) and simmer for another 10 minutes. Remove the cilantro. Serve. Ladle into large bowls. Top with a squirt of lime, extra chicken, slices of avocado, tortilla strips, cilantro leaves, fresh tomatoes, minced red onions, or some combination thereof. But do not skip the lime and fresh cilantro. Preheat. Heat the oven to 350ºF. Cut. Using a large knife or pizza wheel, cut the tortillas into strips about 1/4-inch wide and 2-inches long. Toss. Toss the strips with the olive oil and sprinkle with salt. Arrange in a single layer on a baking sheet. Bake. Bake for 7-10 minutes until toasted but not burnt. Allow to cool. I’ve been spending a lot of time in the kitchen lately. Perhaps it’s that I’ve been working from home of late. Or that after the holidays, it’s nice to cook for one for a change. Or that sometimes it feels good to turn on a podcast (I alternate between these two right now, both on iTunes), turn off your brain, and let your hands, a good knife, a mandoline and some heat do all the work. It’s been simple foods mainly: cucumber and radish salad; shakshuka (make a huge pot of spicy sauce for the week, then each morning ladle a few spoons into a pan, plop in two eggs, and into the oven); a tomato soup based on Marcella Hazan’s three-ingredient sauce; an obnoxious number of hard boiled eggs (slice ’em up with this guy, mix with mustard, capers, oil, and parsley, and you’ve dashed together a quick and dirty sauce gribiche to scoop up with green beans); coleslaw like this one with cabbage instead of delicate sprouts. Today I repeated one of my Rosh Hashanah menu items – the chicken dish that I added at the last minute on the off chance that someone didn’t want to eat meat.The plate returned to the kitchen with only lonely piece left, which means it more than held its own against the “Sultan’s Delight” short ribs. It’s an Ottolenghi recipe (from his first book, which in the US was his third book) which is meant to be roasted on a sheet pan so that as many chicken edges as possible can brown. I, of course, ignored those directions last month and made it in a disposable aluminum pan with high sides and the juice pooled around the chicken. I used a cut up chicken as well as boneless skinless chicken breasts because that’s what I had in the freezer and because that’s what you do for an eleventh hour dish. The skin on the bone-in pieces got soggy and sad, but the naked breasts came out plump and juicy, infused with citrusy marinade. This time, I just made two breasts – naked as I seem to prefer them – and halved the recipe. They marinated overnight in a mix of lemon and red onion slices, a crushed garlic clove, brightly sour sumac, warming cinnamon, and olive oil. I know raw chicken is supposed to be gross, but it looked so pretty going into the oven, sprinkled generously at the last moment with za’atar. 40 minutes later, with just a few interruption for basting, dinner was done. Adapted from Yotam Ottolenghi, as published in Bon Appetit. I used boneless skinless chicken breasts because I found they worked best in a deeper dish. If you’re going to make this on a sheet pan as the original recipe suggests, skin-on chicken should work well because the chicken should crisp up. I skipped the allspice, doubled the lemon, and didn’t bother to finish with pine nuts or parsley. After all, it’s weeknight dinner, folks. Marinate. Toss chicken, onions, garlic, lemon, sumac, cinnamon, broth/water, oil, and salt in a large resealable plastic bag. Chill at least 2 hours or overnight. Prep. Preheat oven to 400°. Roast. Place chicken, onions, garlic, and lemon in a roasting pan, spooning any remaining marinade over and around chicken. Sprinkle with za’atar and roast chicken, dousing it with any pooled juices periodically, until browned and cooked through, 40–45 minutes. Check with the the tip of a sharp paring knife to make sure the meat isn’t pink anywhere (you can cover up any holes with a slice of lemon). In case you’re wondering, no, I’m not ripping apart pieces of cold roast chicken and dipping them into a jar of mustard vinaigrette, licking my fingers before swiping them on my pants and reaching for another key stroke. No. No, I’m not. But hear me out. It all started with a date that never was. It was a blind one, and we had planned to meet at Buvette for coffee. I waded through the humidity from Union Square, and just a few blocks from the gastrothèque, I received this text: “This is too far west. Can we meet at Starbucks in Union Square instead?” Um, no. And I politely replied, “Let’s do it another day.” We rescheduled. By this time, I was at Buvette’s door and, date or not, I wasn’t going to pass it up. Taking refuge from the swamp called July in New York, I pulled myself up to the bar for a glass of bibonade, Jody Williams’ rosé infused with fruit – in this case plums – poured over ice and topped with champagne. As I tried to find a comfortable perch on the wobbly wooden stool, a plate of bread doused in olive oil was placed in front of me followed by a fresh salad of lettuces, watercress, radishes, cucumbers, potatoes, and thin haricot verts (both ends snipped as only the French do) liberally drizzled with a mustard vinaigrette. The heavy cooking takes place downstairs, and as the menu shifted from lunch to dinner around 4 pm, a parade of aprons ascended with large bowls of prepared ingredients that were passed over the bar to white oxford-clad ladies and gents. As I nibbled with abandon with my mini-silverware, I watched servers thinly slice piles of translucent Prosciutto onto toast, grill croques of all types, and scoop lightly marinated shredded carrots onto a plate. There was no dessert menu – just a glistening tarte tatin and a bowl of chocolate mousse. I love a good tatin (be it apple or pear or tomato or, well, tomato), but some days, only chocolate will do. Amidst the silver platters, below the pressed iron ceiling times, just a little too close to my neighbors, I nursed my coffee along with a plate of nearly-noir haphazardly-heaped mousse topped with whipped cream. As I lingered, I flipped through a copy of the Buvette cookbook and within minutes, had it added to my bill, paying extra for the immediacy, a signature, a hole drilled through the nearly 300 pages, and a leather strap laced through. On my way out the door, I said au revoir to no one in particular. A bientôt. I’ll be back soon. Inspired by my visit, I invited friends over for dinner later in that week. On Friday afternoon after work, I filled my canvas bag with greenmarket goodies, stopped by Breads, and felt like a Frenchie with the crisp pointed edges of a pair of baguettes threatening to poke someone if I turned around too quickly. I snapped off a quignon as I walked to the subway, gnawing away at the crust as I dug for my metrocard. When I got home, I roasted the chicken that the night before I had seasoned with herbs and salt, washed some leaves, sliced some vegetables, grated some carrots, and rolled out dough for a rhubarb galette (based loosely on Alice Water’s recipe). We drank a delicate rosé from France (Olga Raffoult Chinon Rosé). And then a more assertive one from South Africa (Mulderbosch Cabernet Sauvignon Rosé). And I left the dishes for the morning and the bottles on the table, and I ate leftover salad for breakfast in the middle of the mess. If you want to hear Jody Williams speak about her cookbook and restaurants (she opened a Buvette in Paris too! ), listen to her interview on Radio Cherry Bombe. And just a few days ago, Sam Sifton published in the New York Times a few more recipes from the cookbook – here you go. You’re welcome! Adapted from Jody Williams’ Buvette: The Pleasure of Good Food. The only change I made was to add cucumbers (the photo above doesn’t have potatoes). I used a variety of lettuces that I found at the greenmarket – I think that a little endive or radicchio would be really nice too. Boil. Place the potatoes in a saucepan, cover with cold water, and add a spoonful of salt. Bring to a boil and cook until the potatoes are tender, around 20 minutes. Check for done-ness with the tip of a sharp knife. Using a slotted spoon, remove the potatoes from the cooking water and set them aside to cool. Keep the cooking water at a boil for the haricots (see below). When cool enough to handle, break the potatoes in half and set them aside. Blanche. Add the green beans and boil until they are just tender, about 5 minutes. Drain them and transfer to a bowl to cool. Put it all together. Arrange the greens on a large platter and sprinkle them with salt and pepper. Drizzle the greens with one-third of the dressing. Toss the potatoes and green beans with another third of the dressing and lay them on top of the dressed greens. Tear all of the meat and skin from the chicken in largish pieces and scatter over the vegetables. Drizzle the whole thing with the remaining dressing, scatter the cucumbers and radishes over the top, and serve immediately. Adapted from Jody Williams’ Buvette: The Pleasure of Good Food. This is the simplest way I have ever made a chicken and the last three sentences of the recipe capture the essence of the process: “No need to truss, baste, anything. Just season and cook. End of story.” Just make sure to leave enough time for the salt and seasoning to really sink into your chicken – I rubbed my chicken down on Thursday evening and let it sit in the fridge for about 16 hours before bringing it to room temperature for an hour and then roasting. Pound. With a mortar and pestle or coffee grinder, coarsely grind the herbs de Provence and salt. Season. Evenly season the chicken with the mixture, inside and out, really massaging it into all the crevices. Let the chicken sit for at least one hour at room temperature or in a sealed plastic bag in the refrigerator for up to three days. Roast. If you have refrigerated your chicken, take it out and let it sit, uncovered, at room temperature for about an hour. When you are ready to cook the chicken, preheat the oven to 425ºF. Place the room temperature chicken in a skillet or a roasting dish and set it in the oven. Roast until the thigh registers 165ºF on a meat thermometer, about 1 hour and 15 inures. Let the chicken rest at least 10 minutes before carving (ripping) and eating it. From Jody Williams’ Buvette: The Pleasure of Good Food. 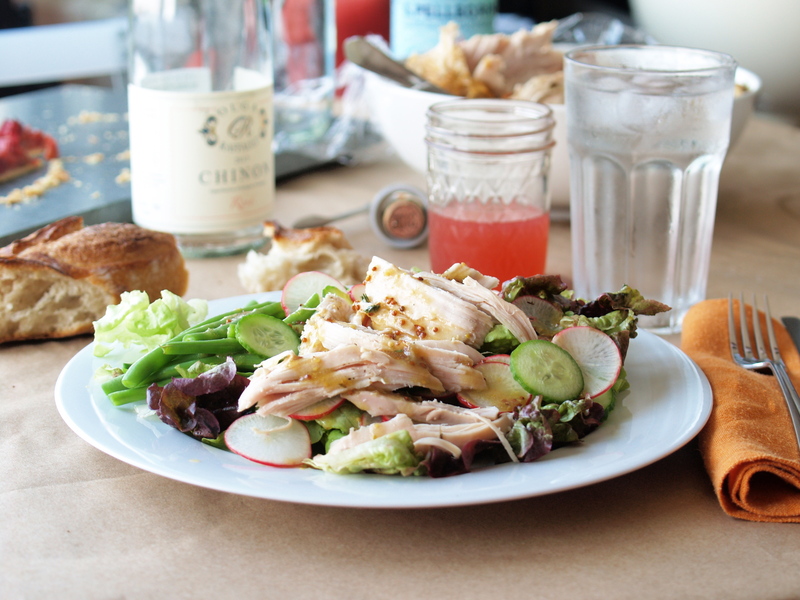 OK, so this vinaigrette makes everything taste French. And by French, I mean good. And by good, I mean dip a piece of chicken in it and lick your fingers good. Don’t say I didn’t warn you. Mix. Shake all the ingredients in a jar until they’re well combined. Store in the refrigerator for up to a month. I’m gonna let you in on a little secret: I’ve never made matzah ball soup. I don’t need to. Because my mom’s is the best. One of the tricks is that she starts with a whole chicken and a ton of bones that she gets from our butcher. Then she throws in some mirepoix and enough dill to send me to heaven and lets everything simmer for hours and hours. The broth chills in the refrigerator until it gels in the best possible way. My mom even picks out the white meat chicken and saves it for my bowl because she knows that’s how I like it. My mom has another secret weapon: my dad. In his own words, “Annie did the wonderful delicious magical details. I was only a simple assistant taking down Passover pots, buying ingredients, cutting chicken pieces in half, and cleaning the pots after some final tasting.” Sounds like a pretty good deal to me. I’d love to give someone pot washing duty! ps – A big thanks to will.i.am. for the title of this post. pps – You have to love living in a city where the local paper’s dining section on the day after Passover is “The Bread Issue.” We’ve got artisanal bakers, including Uri Scheft whose Bread Bakery Jerusalem baguettes are delivered daily to our restaurant. Also, nostalgia for the bread service that’s slowly disappearing. Then, rules for bread baking from Tartine Chef Chad Robertson – it all starts with patience – and a condensed version of his 38-page country bread recipe. (When I went to San Francisco a few years ago, Tartine sold out of bread by 10 am). And in case you want to bake some more, there are three additional bread recipes. After you make bread, you have to master the art of making toast. And then, figure out what to do with any leftover crumbs. ppps – Today also marks the opening of Black Seed Bagels where Noah Bernamoff of Mile End Deli will introduce a New York-Montreal hybrid bagel. After a decadent lunch, I swung by the shop and picked up a baker’s dozen. The thirteenth bagel is for eating on the way home, right? Enough post-scripts. Let’s get to my mom’s soup. Adapted from this recipe. My mom uses soup mix or bouillon instead of salt in her recipe to enhance the chicken-y flavor – add it to taste, conservatively at first. Or use salt to taste. This is a huge batch, but it freezes well, so go ahead and make the whole thing. Boil. Bring the water to a boil in a large pot. Add in the chicken and bones. Skim off some fat and “scum” that rises to the top several times until no more accumulates. Simmer. After the skimming, add in all of the vegetables, dill, and the soup mix powder to the pot. (Again, be conservative with soup mix/bouillon at first until you see how salty the broth is). Lower the temperature to a very low simmer and cover the pot. Simmer for about 3 1/2 hours. Check on the soup every half-hour and stir. When done, the vegetables should be softened and the chicken falling off the bone. Strain. Remove all chicken pieces, bones, and most of the vegetables and let cool. Discard any dill stems. Refrigerate the soup, chicken, and vegetables overnight. The next morning, skim the fat off the top of the soup. Remove the bones from the chicken by hand, shred the chicken and put it back into the soup along with the vegetables. Make matzah balls. Follow the package directions, along with my mom’s tips. With wet hands, roll the dough into balls about one-inch in diameter. This is important: cook the matzah balls in small batches. Use a very large pot and only add enough matzah balls to form a single layer with a fair amount of wiggle room – you don’t want to crowd the pot when they expand. Cover the pot and simmer each batch of matzah balls for at least half an hour. They’re ready when you can stick a knife into the center without hitting any resistance. Remove the balls with a slotted spoon and place them in a single layer in a flat pan and refrigerate. We like our matzah balls fluffy but firm enough that they don’t fall apart. Make sure to store the balls separately from the soup, otherwise they’ll absorb too much soup and fall apart. Serve. 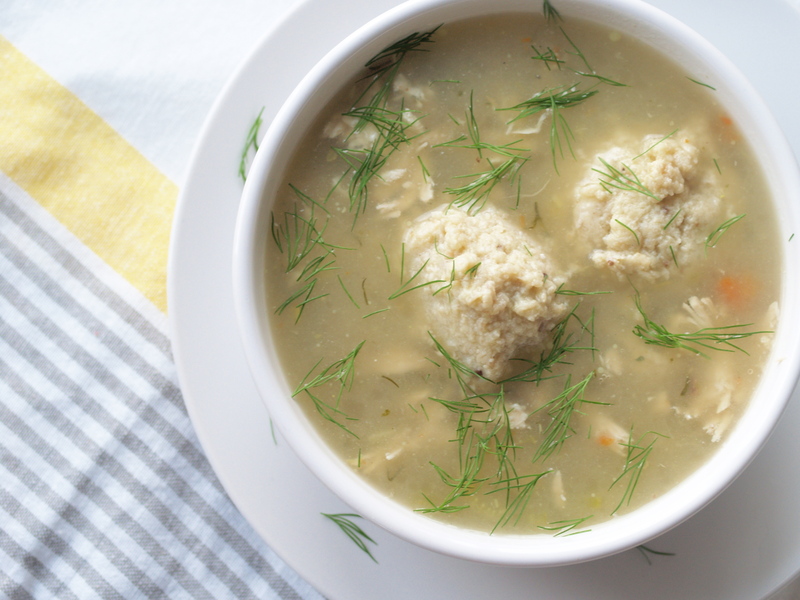 Reheat the soup with snips of fresh dill, and add the matzah balls carefully with a large spoon. It was their last meal together but they didn’t know it. They were celebrating. There was champagne chilling. He knocked on the door as she set plates on the table. Usually they cooked together. And sometimes, he for her. This time, she for him. They embraced with a familiar hey great to see you how’s it been what’s going on you look nice. Her hands were still warm from tossing the just-grilled chicken with herbs, her palms smooth with olive oil, her fingers scented with orange. He smelled like him. They sat. They ate. They talked. They drank. They laughed. There were moments of comfortable silence. There were moments of palpable silence. He sliced a mango over the crumb-littered table and handed her pieces. They hugged au revoir talk later see you soon. She closed the door. Adapted from Yotam Ottolenghi’s and Sami Tamimi’s Jerusalem. The bitter orange pith balances out the sweetness of the syrup’s honey and juice. I use a jalapeno instead of a hot red pepper, arugula instead of fennel, and mint instead of cilantro. 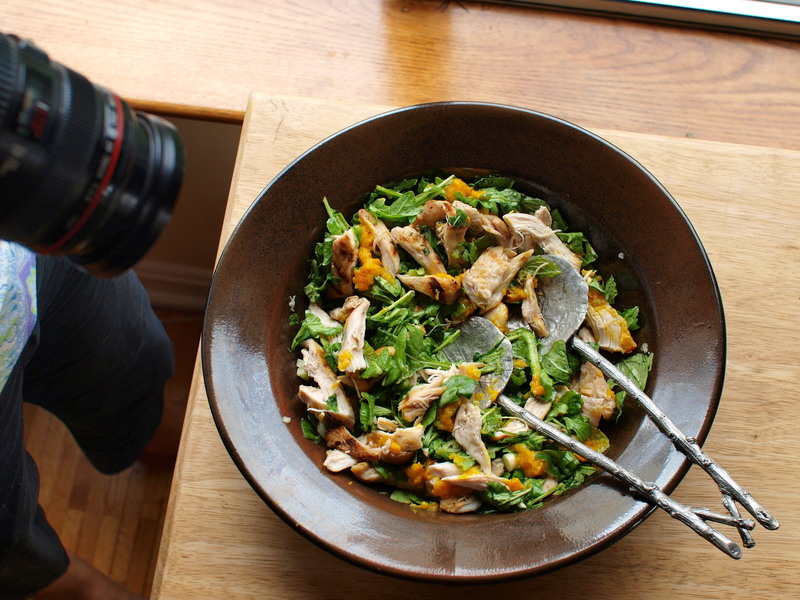 I prepared this salad over the summer for a photo shoot with the Boston Globe for their article on the popularity of the cookbook Jerusalem. 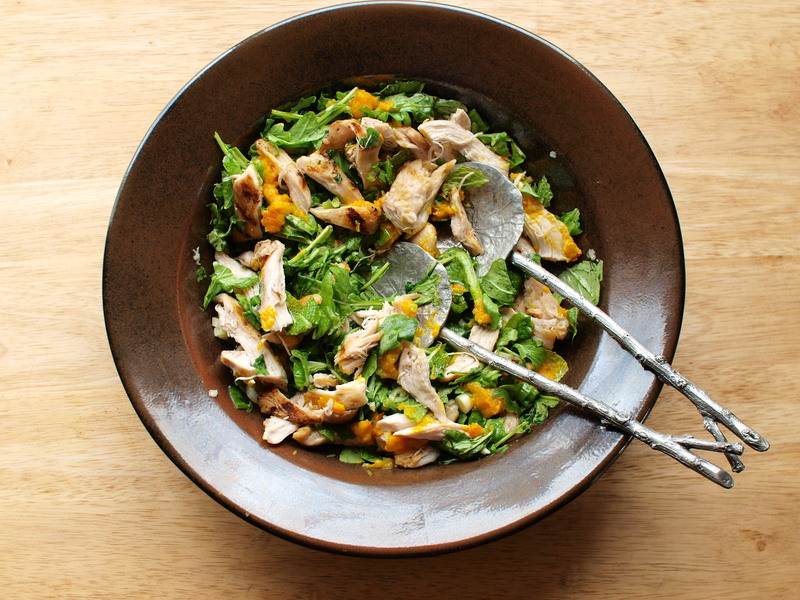 If you want to see Yotam and Sami in action, here’s a video of them preparing this salad. They recommend you mix everything together with your hands. Simmer. Trim the top and tail off of the orange and cut into 12 wedges, keeping the skin on. Remove seeds. Place the wedges in a small saucepan with the honey, saffron, vinegar, and just enough water to cover the orange wedges. Bring to a boil and then simmer gently, uncovered, for about an hour. At the end, you’ll be left with a soft orange and about 2 tablespoons of thick syrup. If the liquid level gets very low during cooking, add some water. Blitz. Use a food processor or immersion blender to blitz the syrup into a smooth, runny paste. Add a little water if needed to get it to a thick but pour-able consistency. Grill. Mix the chicken breast with 2 tablespoons of the olive oil and plenty of salt and pepper, and place on a very hot ridged grill pan (you can use a real outdoor grill if you have one). Sear for about 2 minutes on each side to get clear char marks all over. If you try to move the chicken too soon, it’ll stick – the meat releases when it’s ready. Transfer to a roasting pan and place in the oven for 15-20 minutes, until just cooked. Mix. In a large serving bowl, mix together the remaining 2 tablespoons of olive oil and crushed garlic. When the chicken is cool enough to handle but still warm, tear it with your hands into rough, large pieces and toss it in the bowl with the garlic and half of the orange puree. Mix in the rest of the ingredients with your hands. Taste, add salt and pepper, and, if needed, more olive oil, lemon juice, or orange.